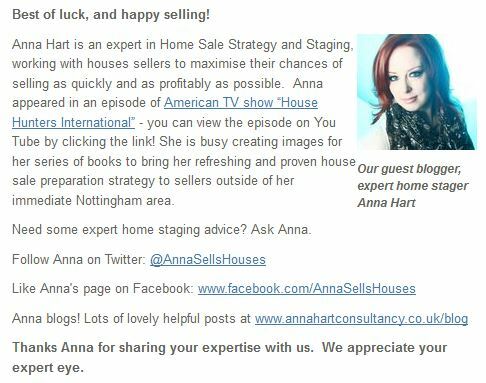 Back in July, I was asked by the lovely Colleen at top London estate agency Northfields to write a guest blog. Colleen gave me the title “Top 5 things under £50 to improve your sale potential” and my post was so well received, she asked me if I could write a sequel. If you’ve not seen part 1, here’s the link to my post on the Northfields blog. When I was writing the sequel, I ummed and ahhed for ages about tip number 5. It’s one of my best secrets you see, and I wan’t sure if I wanted to give it away! But I was in a happy mood so I detailed my best low-cost staging secret to help you get your houses sold. Eeek! Let me know if you go on to use any of my tips, I’d love to know how they work for you!